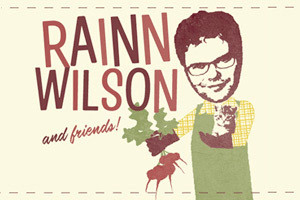 STG presents RAINN WILSON & FRIENDS at The Paramount Theatre in Seattle on Saturday, October 23, 2010. For information on pre-show and after party events, read on! A portion of proceeds from the show benefit Mona Foundation, a non-profit organization dedicated to supporting grassroots educational initiatives and raising the status of women and girls worldwide.